Last weekend I went to stay at my parents’ for a couple of nights while they were away. They have a relatively small garden but it is full of beautiful flowers, fruit and vegetables: they spend hours on it and it really shows. 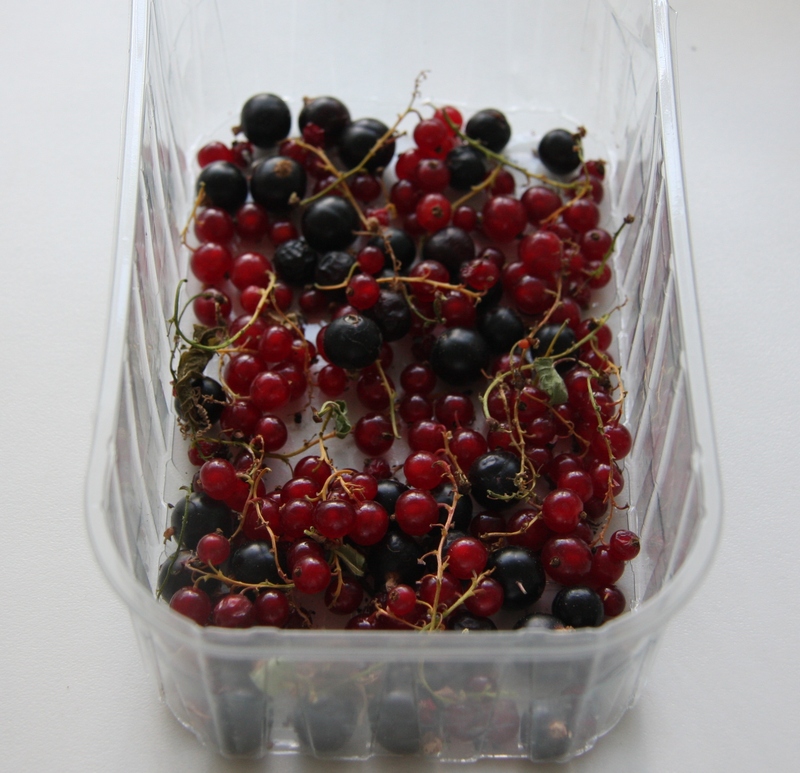 Although they have willing neighbours who will look after things when they are away, I was doing them a “favour” by picking their blackcurrants and loganberries, as well as watering the pots and the greenhouse. 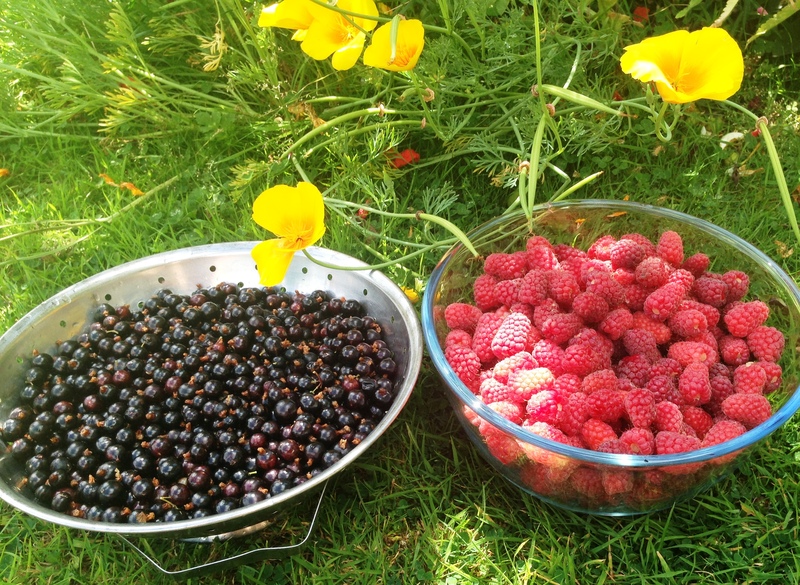 I spent a lovely couple of hours, out in the sun, picking the fruit and wondering, yet again, at how much can be produced in such a small space. All it takes is a bit of time and dedication. This doesn’t include the five blueberries slowly ripening – the blueberry bush definitely needs planting out! I like the idea of making something with them that will last so there is a reminder of all that hard work (not mine, obviously!) and that can be enjoyed slowly. Even though my parents said I could take all that I had picked I didn’t really think that was fair so I put half a kilo of each fruit into the freezer for them and brought the rest home. As blackcurrant jam is one of my favourite jams it made sense to make jam with the blackcurrants, and I even threw in my few black- and redcurrants for good measure. We have been eating our way through the loganberries but as I still had 200g left I even managed to make a small pot of loganberry jam. 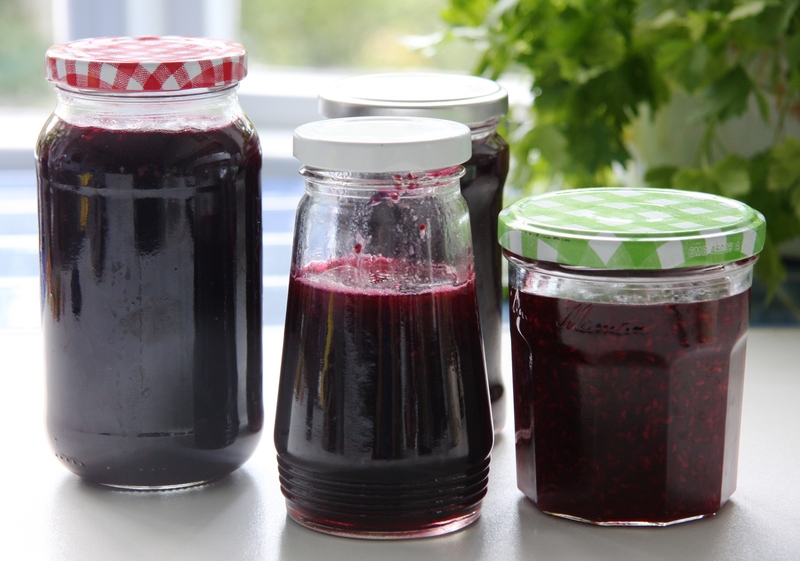 Jam is very easy to make and a great way of preserving fruit. As long as you have fruit, sugar and some jam jars the chances are you can make jam. A little lemon juice will help it set but isn’t essential unless your fruit is particularly low in pectin (and then you can just combine it with a higher pectin fruit). 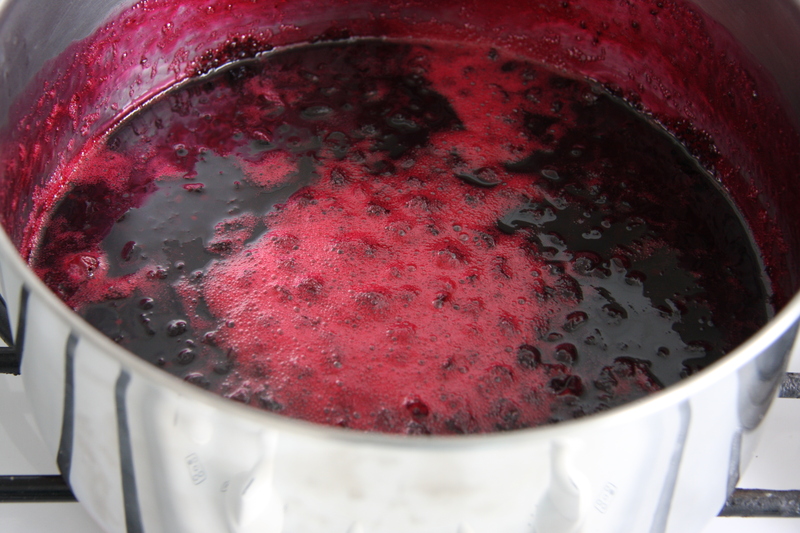 If you’d like some tips on making jam then check out my Jam Session post. When the fruit was ready I added an equal weight of sugar. Once it had reached setting stage I took it off the heat, mixed in a small amount of butter to get rid of the scum and poured it into sterilised jars. I know, we are very lucky – just hoping for more next year! how lovely! I think that having an abundance of fruits is the best excuse to make jam. I think I would be happy if I had these berries in my garden. 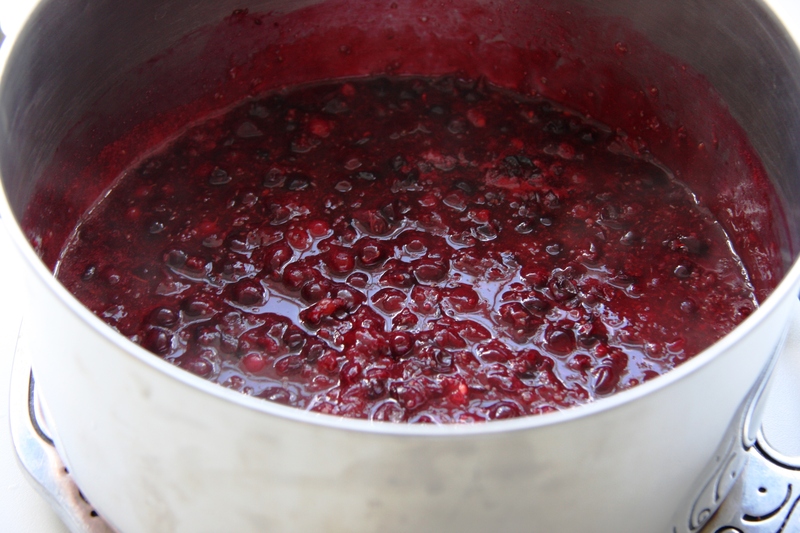 I love to make jam – it’s a great way of enjoying fruit for more than a few minutes!